If you have tried and failed to create a herb garden you love – don’t fear! We’ve collated our top herb garden ideas that will compliment your culinary skills with a collection of herbs that looks beautiful. 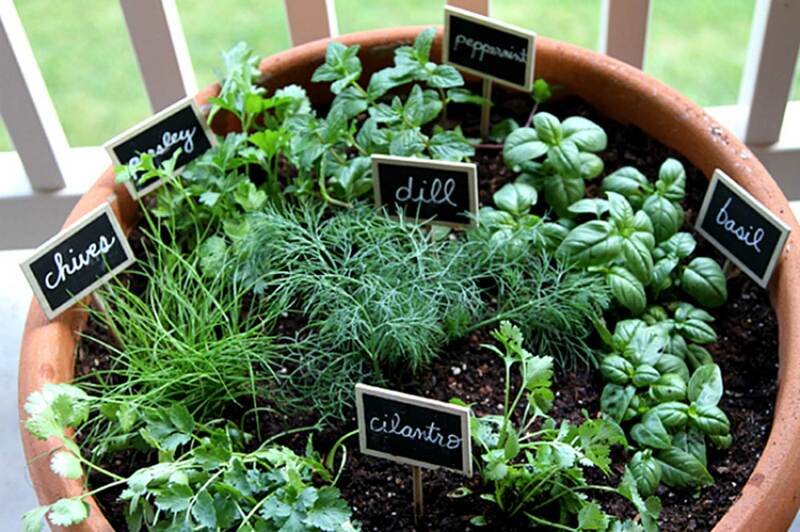 Who knows, maybe this year you’ll have a healthy and stylish herb garden all year round. Herbs are sun loving little wonders. Most herbs need 4-6 hours of direct sunlight a day. Before you venture into the unknown, get yourself set up with some quality soil (one that has good drainage), pots or large garden beds and seeds or already sprouted herbs (if seeds are too adventurous just yet). It sounds simple, but without the basics, you are setting yourself up for disaster, so take note to make sure you don’t make last year’s mistakes. The next thing to do is to decide where to put them and what exactly to put them in, but don’t worry, we have you covered! 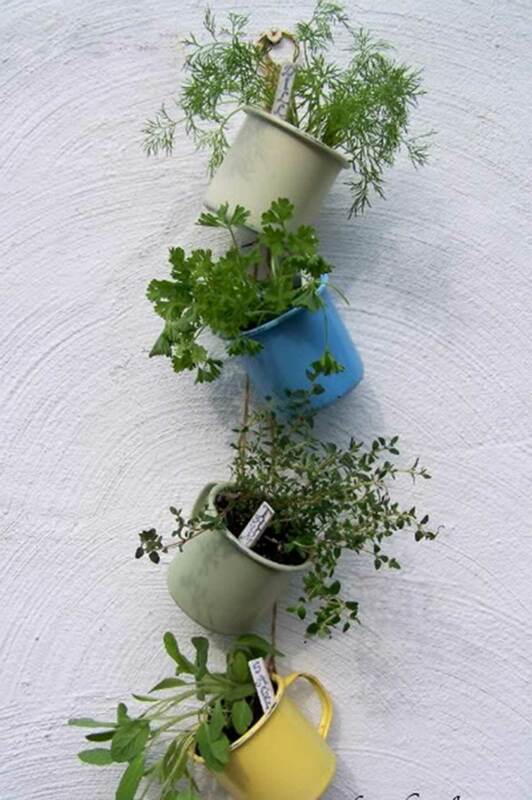 You don’t have to spend hours finding the ‘perfect’ pots for your little herb garden. Save time and money by using old glasses, mugs and teapots to give new life to your old drinkware. 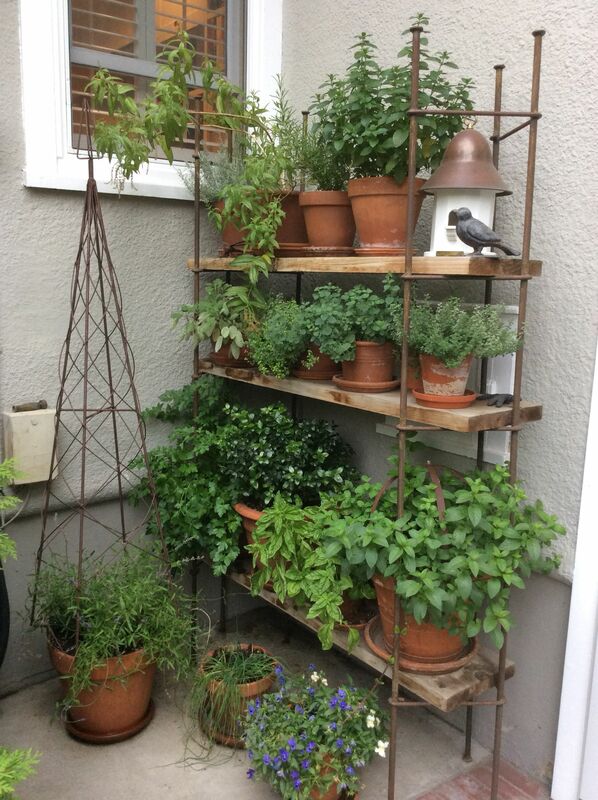 Using mismatched pots can give a unique effect to your herb shelf. Try gathering mugs with different patterns and colours to make them stand out, or stick to one colour scheme to give the garden a more structured look. The plus side to using mugs and bowls is that they can withstand the weather, so they are perfect for indoor or can be used to improve your outdoor design. TIP! Herbs flourish best in smaller pots. Mugs and pots with a diameter of 10 inches is ideal. 2. Send them up the wall! 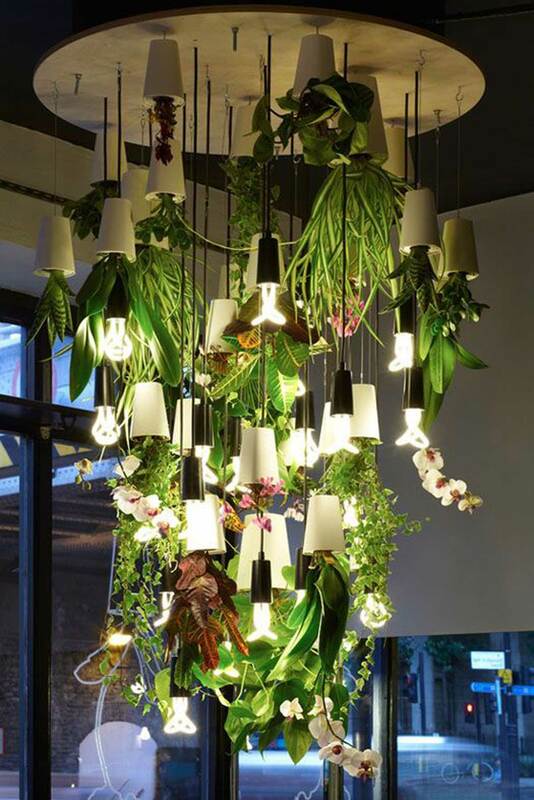 Vertical gardens remain on trend – being both functional and beautiful. 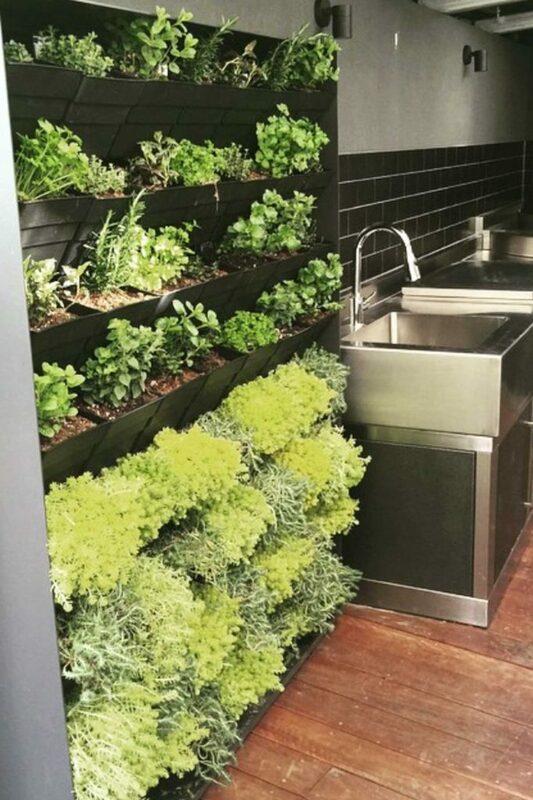 Try using recycled curtain rods and hook planters onto them, or on a larger scale check out these showstopping walls from Vertical Gardens Australia. When hanging vertically, you can replace the traditional vase with just about anything, from plastic bottles to mason jars. 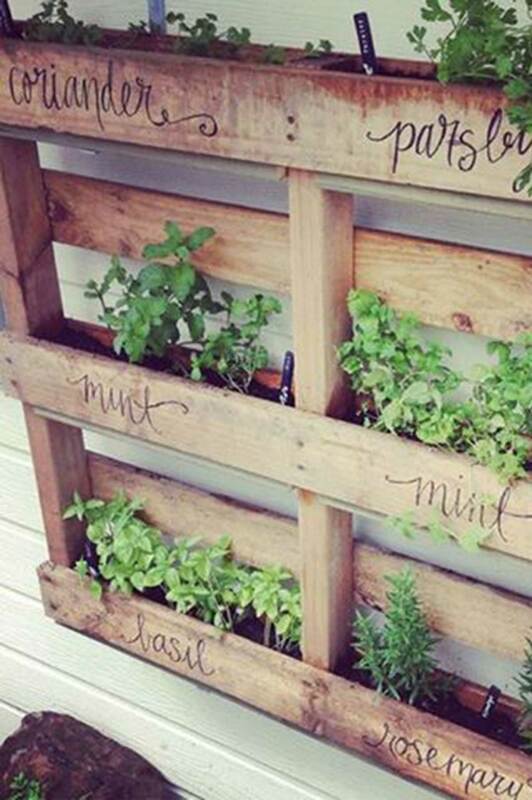 Herb garden ideas include utilising old wooden palettes to transform them into a herb garden frame! 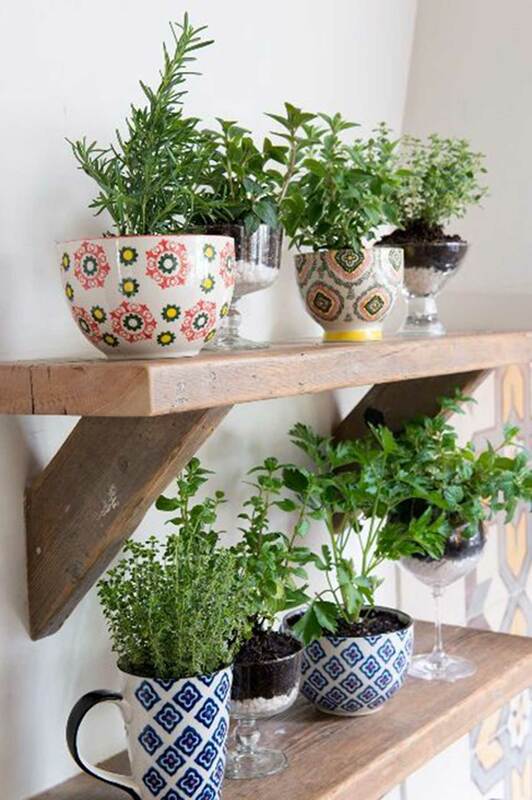 For a cheap yet rustic and stylish option, create a pallet herb garden by hanging them up, enclosing the bottom edges to create a box to plant in. Mix it up by planting flowers and other small plants along side your herbs. TIP! 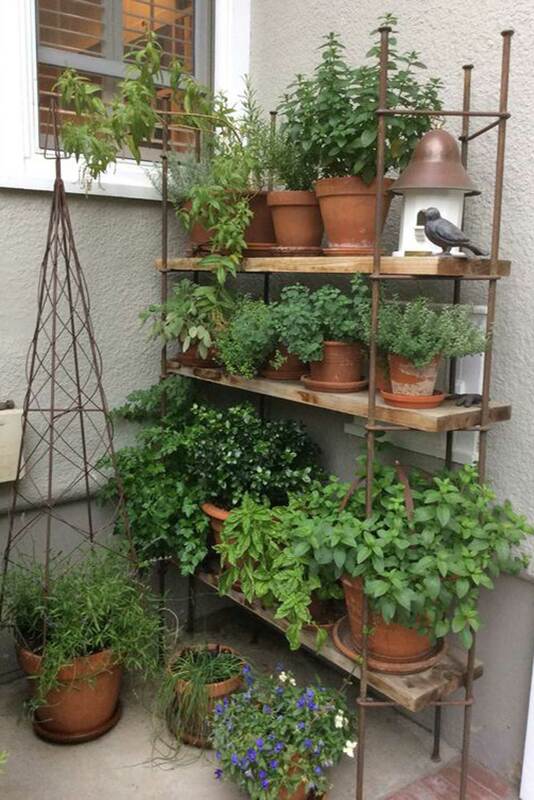 When hanging herbs vertically, it is best to hang them outside as herbs require drainage. Tie in with a coastal theme by hoisting your herbs up in a macrame planter. You don’t have to dig deep into the pockets for this one, as you can easily create a personalised macrame planter yourself. All you need is some rope, a rod of some sort (timber or metal) and a small pot, then simply follow a step-by-step guide such as Likely by seas DIY guide. Also try incorporating different coloured rope to match the theme of your house or outside area. These hangers can also be directly hung from the roof, using a ring at the top instead of a rod. 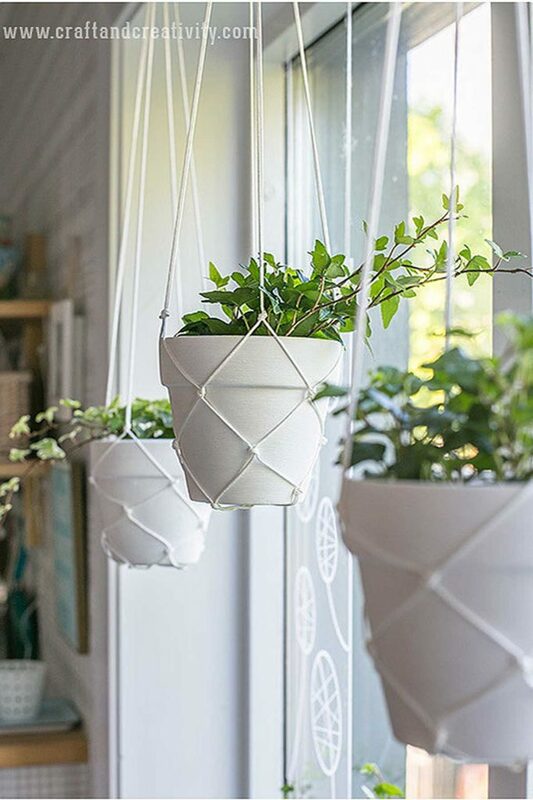 Hanging them inside by a window will ensure they get enough sunlight. If you need help with your outdoor theme and design, Designbx offers affordable packages to give you a head start. TIP! Don’t over water your herbs. They will only need watering when the top of the soil is dry, otherwise you risk rotting of the soil underneath. Whether it be a large ornate garden pot, old ceramic cauldon or box planter, keeping your herbs in one spot makes watering easier and adds different textures to the one look. Herbs such as Basil, Rosemary and Mint can become quite large when they are thriving in the right conditions, so when planting them together, consider the size of each plant when they are fully grown. If you are going to grow herbs, you are going to need something to put the herbs on, so why not start a small vegetable garden at the same time. 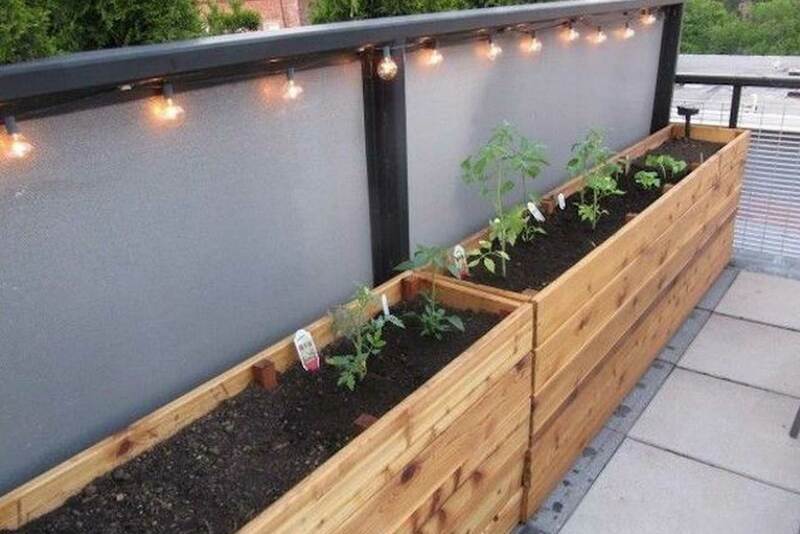 Large timber planter boxes are on trend, meaning you can get the best of both worlds. Split the planter down the middle and make one half vegetables and the other half herbs. Dinner is all in one place! TIP! If they grow out of control you can always replant the herbs by splitting the soil vertically down the middle. 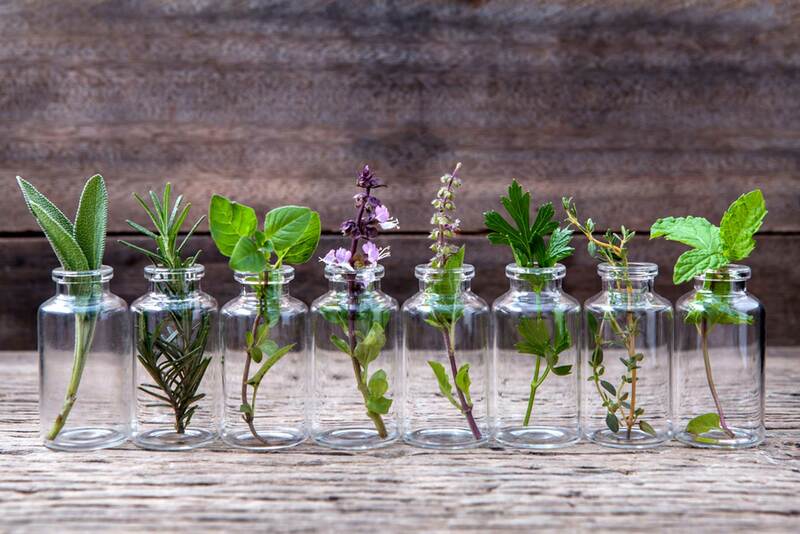 Are you a culprit of starving your herbs? If you are the type of person to forget to water your herbs regularly (let’s be honest we all do it), then planting roots straight into water may be ideal for you. Grab some mason jars and fill them with spring water. Then all you need is a 6 inch trimming (removing bottom leaves) and submerge the root into water and let them grow. Herbs can stay in the water all year round, without any maintenance. Herbs such as Peppermint, Spearmint, Oregano, Basil, Sage, Stevia, Lemon Balm and Thyme grow best in water. TIP! Roots tend to grow away from sunlight, so make the bottom half of the jar darker, to avoid you herbs growing lop sided. Bring out the power tools and try your hand at custom creating a centrepiece for your dining table. Bring life to the old family dinner table by laying in large, sturdy containers to give it a modern and enviable re-vamp. 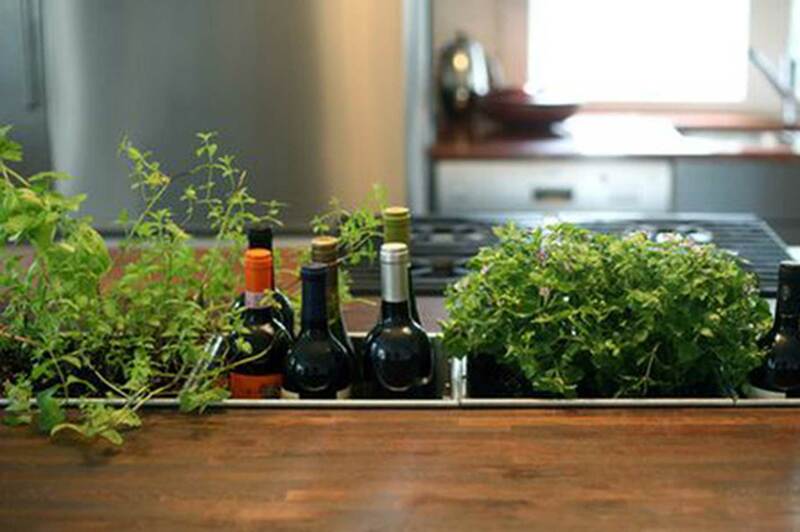 This allows dinner guests to add their own garnishes! You can also try this technique with outdoor tables so herbs get maximum sun. TIP! Place a layer of pebbles at the bottom of the soil so water can drain through and does not rot the herb roots. Make a statement piece for your kitchen and dining area by investing in some Sky Planters. By adding other foliage and greenery, this creates a wow-factor to otherwise average pot plants. This design utilises a locking disk and reservoir system that preserves water and keeps the soil in place. On the flip side, it saves floor space and you can easily access your herbs whilst adding a twist to traditional home interior styles. TIP! When pruning herbs, take an even amount of both fresh and mature leaves and take leaves from a variety of places, not just the top. Wash out glass jars and canisters to create a cute DIY flowerpot. 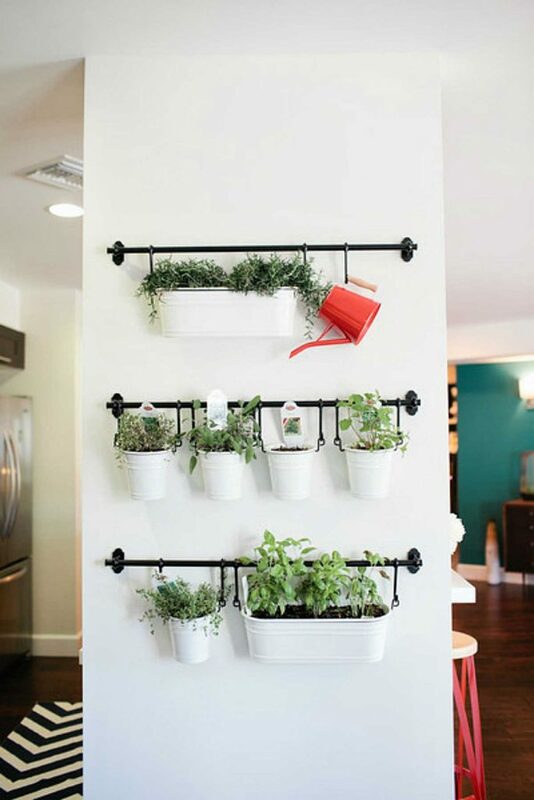 These can be used to also store herbs once dried! Glass jars can be placed in baskets to create a mobile herb garden, so you can chase the sun around the house, to keep your herbs happy. If your glass jars are nothing special then spice them up with some ribbon, twine and/or lace. TIP! 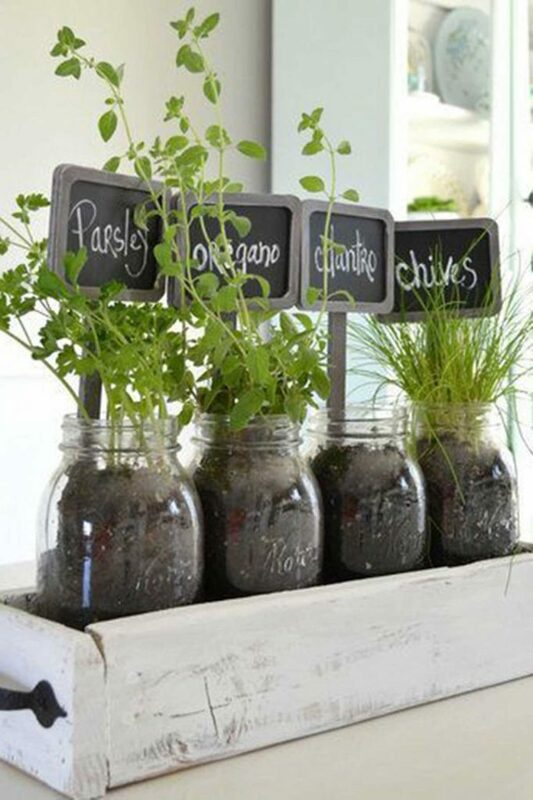 Make sure to label your jars as it can become confusing when herbs are planted all the same way. Utilise old book shelves and ladders for the perfect pot holder. These can be used for small spaces on balconies, porches or even in the dining room next to a large window to maximise vertical space. Shelves can also be used for a variety of small succulents and flowers to add colour. Place the shelves in a sunny area or by a window inside. Here’s another place where timber palettes come in. Stand the palette on its side, build in a few shelves and throw on a fresh coat of paint. TIP! Place a gauze or mesh behind the shelves so herbs that like to wonder, can grow up the mesh instead of tangling themselves around other plants. For affordable help with redesigning your outdoor area to incorporate herb garden ideas such as a pallet herb garden, try interior design online. It’s the best way to transform your area from drab to fab!